In Ten Words or Less: Jesus Christ is supreme—over everyone and everything. Details: False teaching (“enticing words,” 2:4) had infiltrated the church at Colosse, apparently causing some people to add unnecessary and unhelpful elements to their Christian faith. Paul sent this letter to remind Christians of the superiority of Jesus over Jewish rules and regulations (2:16), angels (2:18), and anything else. Jesus is “the image of the invisible God, the firstborn of every creature” (1:15). 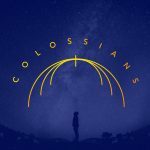 Called to be faithful friends As we close out our study in the book of Colossians the Apostle Paul gives us a glimpse into the social lives of the early church believers. What we discover is that they experienced deep and meaningful friendships. In the American church we gather through song and sermon to make a connection to God. But often times what's missing is a connection with each other. God works through His church, therefore if we are to be used by Him it’s necessary to be connected in a meaningful way to His Church. Join us as we finish the book of Colossians learning what being a faithful friend looks like. Continue in Prayer | Gracious Speech Colossians chapter four continues with some incredibly practical advice and wisdom on how we are to live. In the early verses of this chapter, Paul helps us understand how we talk to God in prayer and how we are to talk to others about God. Join us for some practical and encouraging ways that we are to let these simple commandments reign in our life. Practical Spirituality In the third chapter of Colossians the Apostle Paul tells us that we are called to respond to what God has done for us by His grace. And that response is to seek to glorify God in our everyday lives. True spirituality is not being weird or neurotic, but rather it’s bringing the lordship of Christ into our marriages, the raising of our children, and into the workplace. Join us in our study of Colossians chapter three as we focus on practical spirituality. How to die with the least amount of regrets? It’s a reality of life that each of us at some point in the future will breathe our last. Some of us will look back with sorrow as we realize how little effect our lives had. Where the Apostle Paul takes us in our study of Colossians, is to give us four commands that when followed will lead us to a life that will count for eternity. Join us as we begin chapter 3 to learn how to make your life all that God desires it to be. Set Free or Bound by Doubt The Apostle Paul is guiding the church in Colosse through the difficult problem of dealing with false teachers. Often a tactic of the false teacher is to cause a person to become insecure in their relationship with Christ, so that the insecure person becomes more dependent on the false teacher. Our great defense is understanding what Christianity is. Legalistic religion is man reaching to God, trying to justify himself by keeping a list of rules. Christianity is God reaching down to man in love through Christ. Please join us in the second half of Colossians chapter 2 as we’re taught what Christianity is all about. What Does a Mature Christian Look Like? Our best defense against falling into deception is to become mature followers of Christ. But there are all kinds of ideas on what a mature Christian is, from the way one dresses, to what one does for entertainment. But thankfully we aren’t left guessing, because Paul in Colossians chapter two begins the chapter by describing what maturity in the believer looks like. Don't Move Away from the Gospel In the book of Colossians, we are dealing with a church that is under siege from outside forces seeking to move the church away from simple faith in Christ. As we close out our study in chapter one, Paul reminds us once again of who we were and what Christ by His grace has accomplished for us. He refreshes the memory of the Colossians that they have the very best, so why would they move away from it? Prominent or Preeminent Every false teacher seeks to make Jesus less than who He is. Many false faiths give Jesus a prominent position. Prominent means, “leading, important, or well-known." But where the Apostle Paul takes us in Colossians Chapter 1, is Jesus is to be “PREEMINENT” which means, “above or before others; superior; to be first, hold the first place." 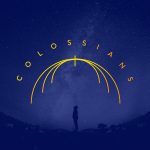 Join us in our study of Colossians Chapter 1 to see why Christ is far more than just prominent. What Should We Pray For? The Apostle Paul was excited about was happening in the ancient city of Colossae. He wanted to see the good things that God was doing in and through His people to continue, and so to that end he prays for them. Often, we struggle to know what to pray for when we think about those we care about. Paul offered up four request for those that were on his heart. These same four requests are needed in the lives of believers today. Join us as we start a new verse by verse study in the book of Colossians to discover how to better pray for those that we care about.